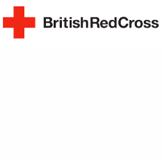 The British Red Cross helps millions of people in the UK and around the world get the support they need in a crisis. Topics include; Borrow a wheelchair, Get support at home, Help with loneliness, Find missing family, Help for refugees, Prepare for emergencies and more. Note: Equipment Loan (1st No) and Wheelchair Services (2nd No).